While President Obama and other politicians try to form a U.S. immigration policy that blocks illegal entry without making it impossible for American businesses to attract talented individuals, investors from all over the world continue to find successful ways into the United States without breaking any laws. Many investors find that owning businesses in the United States helps them qualify for visas. Most policymakers in the United States want these business professionals to enter the country legally so they can have positive impacts on the economy. Before investors can do that, though, they need to know how buying a Florida business prepares them for securing certain types of visas. The Immigrant Investor Program offers a relatively easy way for foreign entrepreneurs to get EB-5 visas. Congress developed the program in 1990 to help the U.S. economy attract more capital investments that would create job opportunities for citizens. When Congress created the program, however﻿, it added several stipulations that investors must follow before getting their EB-5 visas. To qualify for the program, immigrant investors can purchase companies established after November 29, 1990. If they choose to purchase companies established on or before that date, the investors must either restructure the business so that it creates a new commercial enterprise or invest in the company to increase net worth or job positions by at least 40 percent. Investors may also qualify for EB-5 visas by purchasing troubled businesses that have lost at least 20 percent of their net worth within the last 12 to 24 months. To complete this process, applicants must fill out Form I-526 and purchase a qualifying business. 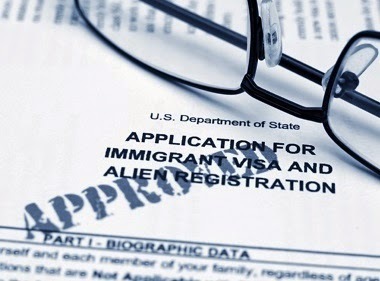 Florida business brokers can help immigrant investors find opportunities that fulfill the program’s obligations while letting them develop new forms of revenue. Buying a Florida business can ﻿help investors qualify for E-2 visas. An E-2 visa, also known as a Treaty Investor visa, expedites the application process for investors who live in countries that have treaties with the United States. Simply purchasing a Florida business for sale, however, does not fulfill all requirements for an E-2 visa. When investing in a U.S. business, applicants need to invest a significant amount of money to help ensure the business’s success. Applicants must invest in real businesses. Businesses that exist on paper alone will not grant investors entrance to the United States. The businesses must also generate income that benefits more than just the investor and that person’s family. The program is designed to help immigrants and existing citizens, so businesses need to offer employment or another kind of benefit. Since the United States﻿ wants to attract managers, executives and other professionals who have specialized knowledge, foreign investors can make the visa application process easier by opening locations in the States. L-1 visas let international companies hire professionals who will﻿ live in the United States﻿ temporarily. To qualify for the program, existing companies must have offices or branches in the United States﻿ and at least one other country. That often means that foreign businesses need to purchase new branches or offices within the United States﻿ to participate in the L-1 visa program. L-1 visas are essentially work visas that let highly skilled employees stay for one to three years. Employers, however, have the right to request extensions of up to seven years. Employees coming to the United States﻿ on L-1 visas should have at least one year of continuous experience working in their﻿ field. Employees must also serve their employers in some executive or managerial capacity. Florida business brokers can play key roles in helping investors fulfill the requirements of visa applications. Whether investors need to purchase existing businesses or start new operations, Florida business brokers offer some of the easiest ways to fulfill visa obligations.